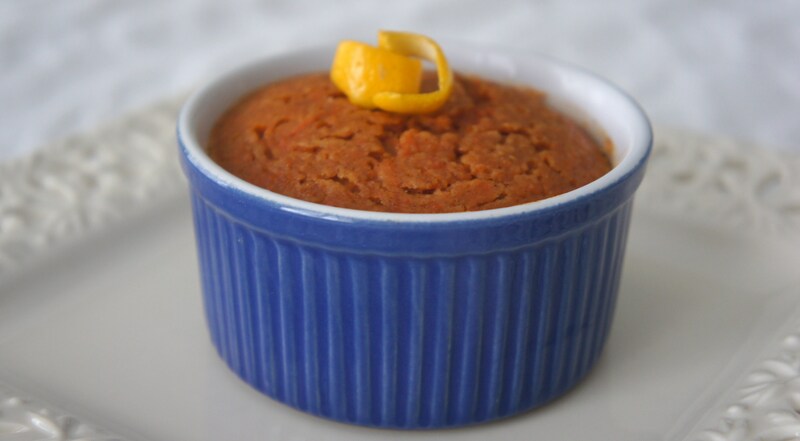 This recipe from the Moosewood restaurant is more like a super moist mini carrot cake. As far as desserts go, it’s pretty darn healthy so go ahead and have a second helping! This would go very nicely with vanilla ice cream or whipped cream, if you’re going for a more decadent dessert. To keep things healthy, you could serve it with a dollop of vanilla or Greek yogurt. It’s also tasty unadorned; I served mine as a little breakfast treat. Preheat the oven to 350F. You’ll need four oven-proof ramekins or custard cups and a baking pan later. Combine the carrots and water in the saucepan, cover, and gently simmer n medium-high heat until tender, 6 to 8 minutes. 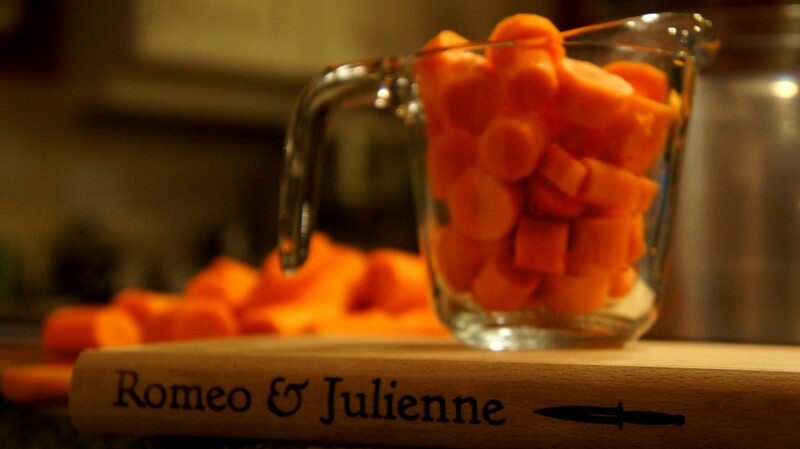 In a blender or food processor, purée the carrots with their cooking liquid and set aside in a large bowl until cool. Beat the carrot purée with the brown sugar, lemon juice, lemon peel and egg white. Mix well. Sift together the flour, baking powder, cinnamon, ginger, and nutmeg. 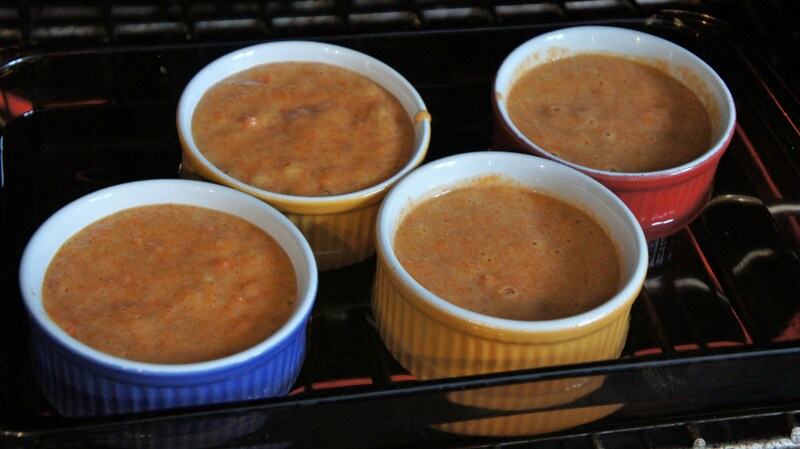 Fold in the flour mixture into the carrot mixture. Gently stir in the currants (or raisins). Popping the puddings in the oven. Divide the batter evenly among the ramekins. 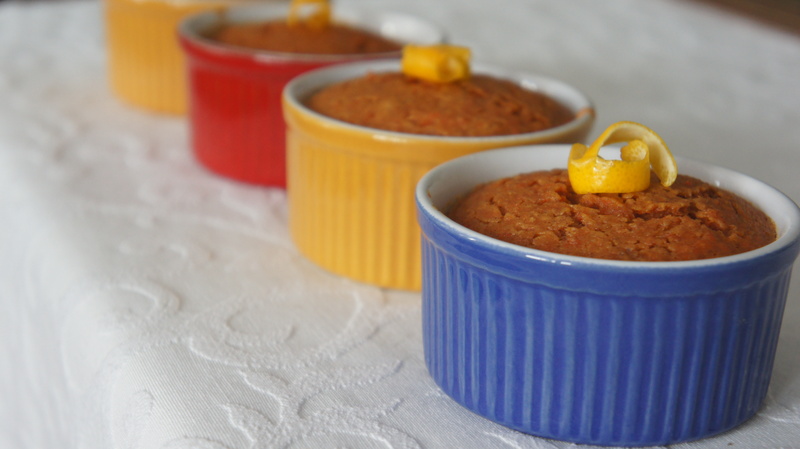 Place the filled ramekins in a baking pan and add boiling water to the pan to reach halfway up the sides of the cups. Bake for about 35 minutes, until a knife inserted in the center of a pudding comes out clean. Remove cups from the pan and cool. This entry was posted in Desserts & Indulgences, Food, Glorious Food!, Nutritious & Delicious and tagged baking, carrot, dessert, healthy, pudding, recipe by kshap. Bookmark the permalink.